Tippecanoe Valley School Corporation celebrated its first Character Day on Wednesday, Sept. 26. 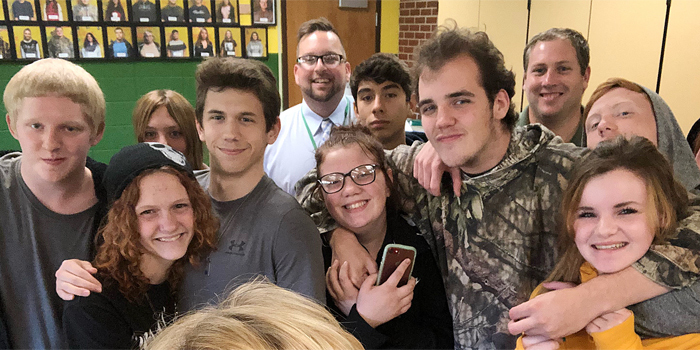 AKRON — The mission of Tippecanoe Valley School Corporation states a commitment to student success through the development of character, leadership, and literacy. The corporation celebrated its first Character Day on Wednesday, Sept. 26. Character Day included finding out student and staff character strengths, as well as ways to focus on those strengths. Students and staff also discussed how to help cultivate the character strengths of those around them. For Tippecanoe Valley High School and Burket Educational Center, Character Day was a two-day process. On Tuesday, Sept. 25, every student found out their own character strengths and watched a short video, “The Science of Character,” which presented how character has an impact on daily lives. The film also discussed fixed mindset versus growth mindset and joined online global conversations around the importance of developing character strengths, such as resilience, grit, empathy, courage and kindness. On Sept. 26, the students discussed their own character traits and the positive character strengths found in their classmates. Plans are to use the information to construct a school-wide character wall. The character wall will be a periodic table of strong character traits found in the students and staff. Character Day is a global initiative that started five years ago. This year, more than 200,000 organizations from around the world participated. Organizations such as Stanford, Harvard and the United States Air Force were also participants. Tippecanoe Valley was the only local school district taking part in the event.